Scottish Business Insider's Top500 is the most authoritative listing of the country's biggest and most successful companies. To qualify for a listing, each company must be headquartered in Scotland or be a substantial subsidiary of a foreign owned company with its financial results published separately and have a turnover of £20m+. Each company is ranked firstly by turnover, then profit before the rankings are combined, divided by two and weighted by turnover. As well as the listings in the magazine we also produce a Top 500 database that provides invaluable information. This is sold separately throughout the year and is generally utilized as a research tool. The database contains everything you need to know about the listed companies, from the names of the board of directors to the last two years financial results. Together the listings and application form the most comprehensive and valued information on Scotland's leading companies and is exclusively available from Insider. "I'm delighted to be once again hosting the best of Scottish businesses, as they come together early in the New Year to celebrate both their achievements and their ambitions for year ahead. This is a terrific networking opportunity and one that offers encouragement and optimism within the respective industries, despite the uncertainty still surrounding Brexit." Lord Kerr is Deputy Chairman of Scottish Power, and a Director of the Scottish American Investment Trust. 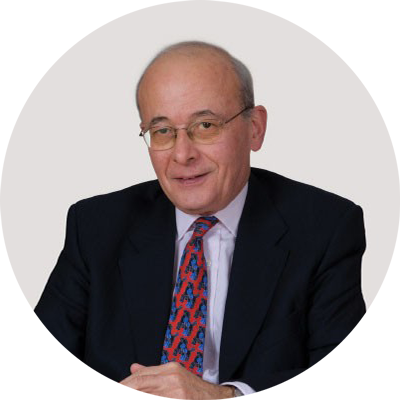 An Independent Member of the House of Lords since 2004, he currently serves on its Economic Select Committee. A Diplomatic Service career, including five years in the Treasury, where he was Private Secretary to two Chancellors, led to spells as Permanent Representative to the EU (1990/95), Ambassador to the United States (1995/97) and Foreign Office Permanent Secretary (1997/2002). A subsequent business career included Directorships with Rio Tinto and Royal Dutch Shell, where he was Deputy Chairman. He also was Secretary-General of the EU Constitutional Convention (2002/03), which drafted Article 50, the procedure under which the UK is now negotiating to leave the EU. His most recent publication is "The RoadMap to a Peoples' Vote" (September 2018). He has been Chairman of Imperial College London, Deputy Chairman of the National Gallery, and a Rhodes Trustee: currently he is a Trustee of the Refugee Council and the Carnegie Trust for the Universities of Scotland, and a Board member of the Burrell Renaissance. John Kerr was born in Grantown-on-Spey, and educated at the Glasgow Academy and Pembroke College Oxford. He now lives in London." Christine O'Neill is Chairman of Brodies LLP and a recognised expert in public and constitutional law. She is, uniquely in Scotland, rated by Chambers UK as a Star Individual in administrative and public law and is also ranked in Band 1 for parliamentary and public affairs. Christine advises clients on legislation and statutory interpretation, the powers and duties of public bodies including the Scottish Parliament, and freedom of information laws and data protection. She acts for a range of Scottish and UK clients including BBC Scotland, the Gambling Commission, the Scottish Courts and Tribunals Service, the Scottish Qualifications Authority and Edinburgh University. 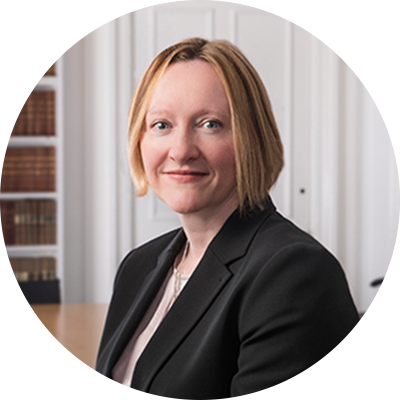 Since 2009 Christine has been a member of the Scottish Government's panel of Standing Junior counsel and has represented the Government in the Supreme Court, Court of Session and Sheriff Court in cases involving public procurement, children's hearings, legal aid and human rights. She was appointed First Standing Junior Counsel in 2016. Christine led Brodies' Government, Regulation and Competition team until 2013, when she was elected Chairman of the firm. She has been elected for a third term from 1 May 2019. 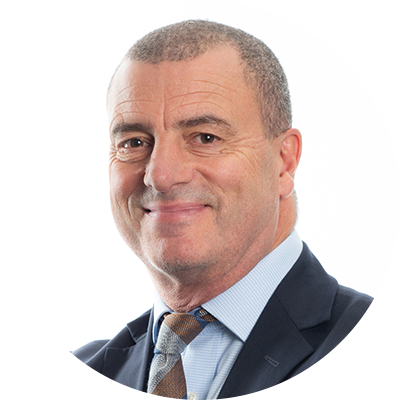 Steve is Chief Executive of Scottish Enterprise, Scotland’s national economic development agency. He joined the organisation in May 2018 from Scottish Canals (formerly British Waterways). Here, he was Chief Executive and responsible for the renaissance of Scotland’s 137 mile canal network which includes two of the nation’s most iconic tourist attractions - The Falkirk Wheel and The Kelpies. A finalist in Entrepreneurial Scotland’s ‘Entrepreneur of the Year’ award for 2017, over the last decade, Steve has become a leading public sector entrepreneur with a reputation for innovative and disruptive thinking in traditional environments. He re-imagined some of Scotland’s most important industrial assets to develop corridors of opportunity which greatly benefit the people and economy of Scotland today. Prior to Scottish Canals, Steve held senior positions at Newcastle City Council and Falkirk Council. Debbie was appointed to Clydesdale Bank’s Group Chief Operating Officer in January 2015 having joined the PLC’s Board as an Executive Director in May 2014. In this role, Debbie was responsible for the Bank’s day-to-day operations as well as the CYBG’s ongoing, multi-year investment programme, which was heavily focused on digital transformation and innovation across the Bank. 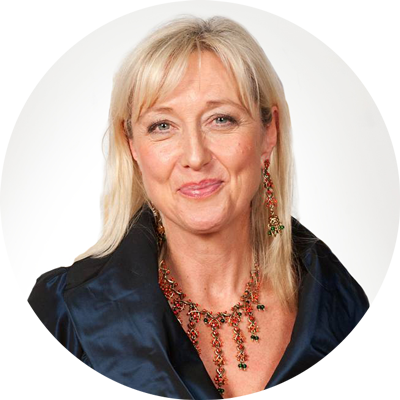 Debbie joined the Group in 1997 following a spell with the Prudential Assurance Company. Prior to her role as COO, she has held a variety of positions including Operations and IT Director in 2011 following on from Chief Information Officer and Head of Technology Development Centre. Debbie was Acting Chief Executive Officer from February 2015 to June 2015 and during this period led the preparation for the demerger and IPO from its parent company National Australia Bank. She was a key part of the management team who completed the transaction on 8 February 2016 forming CYBG which is now listed in both the FTSE 250 and ASX. After more than 20 years with the Group, Debbie Crosbie is moving on to take up the role of Chief Executive Officer of TSB in 2019. Debbie was invited to provide evidence to the UK Parliament’s inquiry into Women in the Workplace and in 2015 became the first female executive to sign Scottish banknotes. She was also previously a Non-Executive Director of the Scottish Court Service for over three years, and Chairman of their Audit committee. She holds an Honours degree in Industrial Relations from the University of Strathclyde and is a fellow of the Chartered Institute of Bankers. She was also named the University of Strathclyde’s Alumna of the Year in 2016. 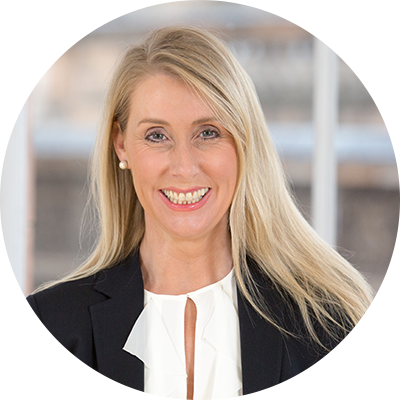 Most recently, Debbie has joined the Glasgow Economic Leadership Board and in September 2017 was announced as the new Vice Chair of Confederation of British Industry (CBI) Scotland Council.